This light-based IPL hair removal device from Veet is FDA cleared for sale to the public for home use, with all the appropriate in-built safety features required. It can be used for male or female full body hair removal (not face) and has a decent treatment spot size of 4 cm sq. It comes with 5,000 flashes, sufficient for a good number of treatments and currently retails at around just $130. However, at the time of writing, finding replacement light cartridges was virtually impossible. The Infini'Silk Pro consists of a hand-held unit which is designed for corded use, straight from the mains, and can be used for both male and female bodily hair removal. The installed light cartridge emits 5,000 flashes and there is an indicator light to tell you when it is running out. Features include 5 light energy levels and skin colour and contact sensors. It is FDA cleared for safe home use for permanent hair reduction​, which is defined as "the long term stable reduction in the number of hairs regrowing when measured at 6, 9 and 12 months after the completion of a treatment regimen". The Veet Infini'Silk Pro has a pretty reasonable spot size of 3.9 cm sq, making it suitable for covering larger areas quickly. The treatment window is slightly recessed and has built-in skin contact sensors to prevent accidental flashing of the unit when not in contact with the skin. It also ensures that there is not too much light seepage around the edges as the device will not operate unless it is held fully flush against the skin. The skin tone sensor, which should be used prior to every use, detects whether the device is suitable for use on your particular skin in any given area. IPL is not suitable for those with darker skin tones - this is explained more fully in the next section, and works best for those with dark hair and light skin. The device has 5 power levels, so that you have control and can select whichever level you find comfortable for each area of the body that you treat. It is loaded with a 5,000 flash replaceable cartridge, which should be sufficient for many treatments. The caviat to this, though, is that currently we have found it difficult, if not impossible​, to find replacements to purchase. Given this, the 5,000 flashes does not seem such a good deal, especially given that the Veet Infini'Silk​ model apparently delivers up to 30,000 flashes at a slightly lower cost price. To give you an idea, 1,500 flashes will provide approximately 4 treatments for 2 legs and 2 underarms or 2 full body treatments. The Veet Infini'Silk Pro can be used by both males and females, and the best results are achieved by those individuals with pale skin and dark hair. You can check your skin tone against the colour chart to see if the device is safe for you to use. The in-built skin tone sensor in the device will detect if your skin is too dark, and automatically stop it activating. It is possible that some areas of the body have a darker skin tone than others, so it is important to use the sensor prior to every use, on the actual area that you wish to treat. There are also some medical conditions which preclude the use of this product and it is vital that you read all the recommended precautions and warnings in the user manual thoroughly, prior to use. It should never be used on recently tanned skin (within 28 days) or if you have dark brown or black spots. Read all the instructions carefully, paying particular attention to all warnings and precautions prior to use. Misuse can lead to serious side effects including burns and blisters. Prepare - shave the area to be treated and ensure that it is completely clean, dry and free from any cosmetic products. (Hair must be shaved and not plucked, waxed or epilated as the hair root needs to be in place). Turn on - press the on/stby swith and the orange power indicator light will turn on and you will hear the sound of a fan. The indicator will turn green to show that it is ready for use. Energy Level - the device automatically comes on at the lowest energy level (1) and is increased each time you press the energy level settings button (-/+) to a maximum of 5. There are 3 indicator lights; at level 1 the left light is steadily lit, at level 2 the left light is steady and the middle light blinks, at level 3 they are both steady etc. You should select the highest energy level that is comfortable for each area of the body, following the instructions given. Apply - ensure that the skin being treated is spread flat and apply the treatment window to it so that it is in full contact, at which point the ready indicator light will blink. Pulse - press the pulse button. The skin tone sensor will detect if your skin tone is suitable and if so, a flash of light will be delivered, and you will feel a mild warm, tingling sensation. If your skin tone is too dark, the device will not operate and the skin tone warning indicator light will blink. Cover area - after delivering a pulse of light, you should move to the next patch of skin, in a grid-like order, in rows, and after approximately 3.5 seconds the ready indicator light will turn on to show that it is ready for the next flash. Each area should only be flashed once in any given treatment session. IPL, or intense pulsed light, works by using pulses of light of varying wavelengths to target the dark pigment, known as melanin, which is found in skin and hair. Melanin is particularly concentrated at the base​ of the hair root, around the hair follicle. ​The follicle will be permanently disabled or damaged enough so that the hair will not re-grow, or if it does, will likely grow back finer and lighter than before. Anagen - the actively growing phase, and the only one during which IPL is effective, as the hair root is attached to the follicle and "live". Catagen - the end of growth phase, when the hair is cut off from the blood supply, turning it into a club hair. IPL is ineffective when the hair is in this phase. 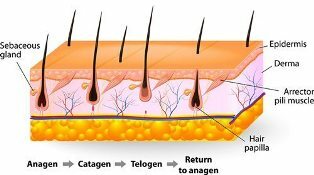 Telogen - the resting phase, during which there is no growth and the dead hairs are gradually shed from the body. 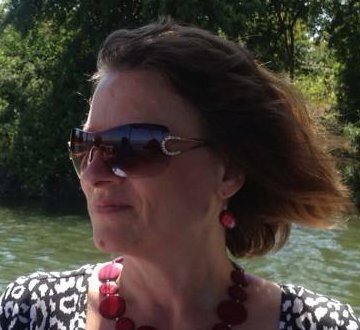 Again, IPL is not effective on hair that is in the telogen phase. It is for this reason that IPL is not a "quick fix" but will take time and many treatments to see a permanent reduction in hair regrowth. Do you need protective glasses when using the device? Can it be used cordless? How long is needed between sessions? Does it work for facial hair? ​Does it remove gray hair? ​Can I wax between treatments instead of shaving? Does it matter if I don't shave first? This is a relatively inexpensive device of its kind, but the difficulty in purchasing replacement bulb cartridges is a major issue as 5,000 flashes will not last forever. In comparison, other similar home IPL devices such as ​the Silk'n Flash & Go, which also has 5,000 flashes, have cartridges readily available online. ​You might like to take a look at our home roundup review of best home laser hair removal kits before you make up your mind.